This investigation has thus shown that while pots from various sources differ but little in appearance, there are considerable differences in the permeability of the walls, due fundamentally to variations in the pore size. The characteristic features of porous pots in that there is a continuous current of soil solution outwards from the soil through the pot wall, the rate of this current increasing with permeability. Air to replace this water enters the soil at its upper surface, thus, the extent to which the soil is aerated is indirectly determined by the permeability of the pot. This increased aeration has been shown to lead to an increased rate of nitrification in the soil, together with an increase in the available potash, resulting in greater plant yields. Good aeration of the soil also had a beneficial effect on root development. Thus, in general, high permeability is advantageous in pots, unless it is so great as to lead to such rapid drying of the soil that the plant suffers drought effects. Such detrimental effects are particularly likely to occur under extreme conditions of high temperature and low humidity. 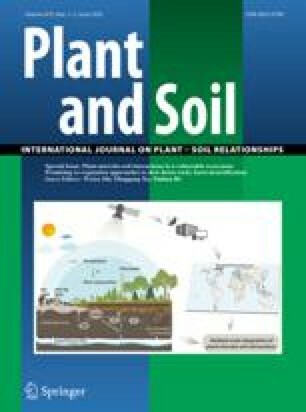 Another important point, emphasized in this study is the large demand of the pot plant for nitrogen in comparison with the small amount of soil explorable by its roots. Addition of nitrogen is therefore desirable in any case, while for impermeable pots in particular, it is advisable that such nitrogen should be directly assimilable rather than in an organic form.